"Day Off for Peavey 30th Anniversary"
It would be easy to say that Anniversaries happen every year, but there are so many important things happening to so many people that very day seems to be the anniversary of something. The importance of an anniversary depends on who is celebrating it, why, and how many anniversaries there have been. One anniversary which everyone has is a birthday, but after you enjoy a respectable number of these anniversaries, the birthdays of the loved ones around you become more important than your own. Another commonly celebrated anniversary is the wedding anniversary, and woe to the husband who makes the mistake of forgetting to make a fuss on this special day, let alone forgetting it altogether. Men who work and go out to face the world have an annoying habit of forgetting important dates of all sorts, but remembering wedding anniversaries seems to be especially slippery. Many of the most popular programs from the Golden Age of Radio revolved around family and marriages, so naturally, wedding anniversaries were bound to crop up. 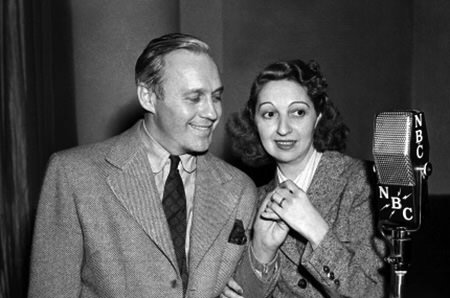 Jack Benny and Mary Livingstone would celebrate their twentieth wedding anniversary on CBS in January 1947 his 34th year of wedded bliss in 1948. Fibber McGee and Molly starred an actual married couple, but they celebrated their anniversary in September, March, and May of various years, depending on the whim of their writers. 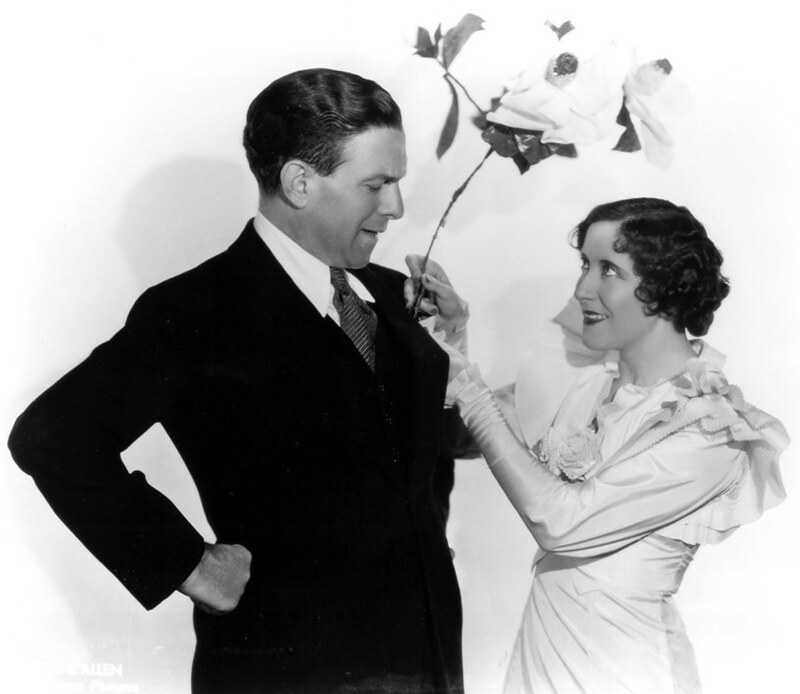 Forgotten wedding anniversaries may not be as common as situation comedies would have us believe, but the topic is broad enough to be its own collection. In fact, Chester Riley on The Life of Riley seems to have forgotten his anniversary to Peg more times than he remembered it. Clifford Fadiman could rely on a laugh if he asked the panel of Information Please for their wives' birthday and wedding anniversary. 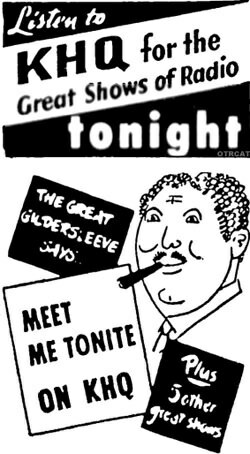 The anniversary of niece Marjorie and Bronco got to be a big deal during the later seasons of The Great Gildersleeve, and even though the Great One was a bachelor throughout the series, he was not above celebrating milestones in his relationships with his various lady friends. Although weddings are one of the most celebrated anniversaries on the air, just keeping a program on the air for another air was always worth mentioning if not making a big on-air celebration. Variety show pioneer Rudy Vallee celebrated the ninth anniversary of The Rudy Vallee Hour in 1938. Quiz Kids' eighth year was in 1948. One Man's Family turned fifteen in 1944, Meet the Press celebrated its sixteenth year in 1960, The National Barn Dance's twentieth year was also 1944, and The Grand Ol' Opry broadcast a twenty-fifth-anniversary program in 1950 while Amos 'n' Andy turned twenty-five in 1954. The Armed Forces Radio Service would celebrate its fourth and fifth anniversaries on Command Performance in 1946 and 1947. After birthdays and wedding anniversaries, one of the most important dates in a person's life is when they begin a new job, especially for a job that lasts a good long while. 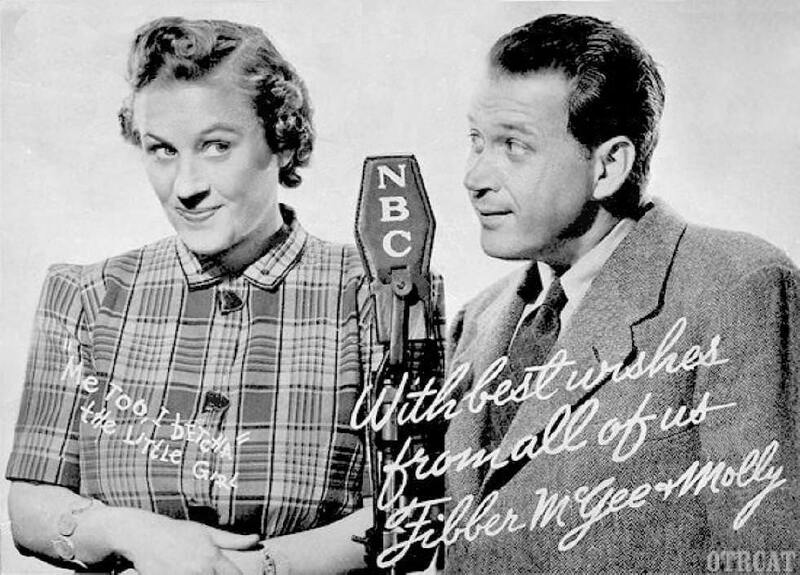 Jack Benny first came on the radio as a guest of Ed Sullivan's in 1932 and got his own show for the first time in May of that year. Although Jack's character insisted that his personal calendar would stop at 39 years, each spring the writers would celebrate his broadcasting anniversary, including his nineteenth anniversary on the April 15, 1951, episode of The Lucky Strike Program. Fred Allen's fourth year on the radio came in October 1936 on Town Hall Tonight. Almost as important as your job is the company which is writing your paychecks. Remembering the anniversary of the company's founding is a good idea, especially when that company is sponsoring the radio program which is feeding your family. Fibber McGee and Molly with Harlow Wilcox celebrated the programs fifteenth year with Johnson Wax in September 1949 but had made an even bigger deal earlier in November of 1946, which was the Wax Company's 60th year in business. The Sears Roebuck Company celebrated 50 years in business on Then and Now on October 1, 1936, while the Walgreen's Drug Store Chain sponsored an annual variety gala for their anniversary which featured Bob Hope, "Rochester", Dennis Day, and the Andrews Sisters for their 45th anniversary in the summer of 1946. The Radio Corporation of America's sixteenth anniversary was commemorated on The Magic Key in October 1935, and since RCA was one of the parent companies of the National Broadcasting Company the program celebrated the networks tenth year thirteen months later. Biographies in Sound celebrated the network's anniversary in May 1956 with "Recollections at Thirty". The program also took a look at important historic anniversaries, including the tenth anniversary of atomic energy in 1955 with "The Atom: Menace and Promise", while Adventures in Research looked at 50 years of gasoline powered automobiles in 1946. Other important historical anniversaries include Hop Harrigan recognizing 40 years of the Army Air Forces on August 1, 1947, "Fifty Years of Movies" on Lux Radio Theatre in September 1951, the city of Los Angeles turning 168 years-old in September 1949 on Fibber McGee and Molly commemorating 179 years of the Post Office in 1954, and several others. Happy Anniversary OTRCAT and here\'s to many more. May all those wonderful old time radio shows live forever. And thanks to you -- they will! Keep up the good work. Love your website.